Ivan Fischer's new release is Mahler Seventh. Re: Ivan Fischer's new release is Mahler Seventh. I guess C.C. delayed it for the sake of his brother's M7 release. I truly like Adam Fischer's cycle, thus far. This 7th has been put off for 3 years or more, I think. They recorded it before the 5th. It's been in the can for quite some time. The excerpt sounds fast and average to me. When we did it in Redwood Symphony, every available percussionist who wasn't already covering something, shaked a strap of cowbells. One percussionist was even waving a rather large one. I also think big bells, cut acetylene tanks or bell plates should be used in the finale, in lieu of narrow chimes (holy doorbells). They don't use them because they're visually distracting, but acetylene tanks cut to pitch actually make terrific portable bells. Mahler wanted bells (tiefe glocken), not door bells. This recording is available today on the Channel Classics website. It appear everywhere else at the end of March. Listened to this recording two times over the weekend and found it very disappointing. Initially I thought Fischer would do very good, to great work with this symphony. Instead he recorded a very bland, uninteresting Mahler 7. The first movement lacks any kind of intensity, tension or drive. It also comes across as very controlled. Nachtmusik I is well played, but lacks character and is much too quick for my tastes. The scherzo and 2nd nachtmusik are the best parts of the recording. Fischer seems to hit his stride here. His quicker tempos work much better. It also seems like he's letting his orchestra play, instead of trying to control them; this is a big problem with the first movement. The finale is pretty good, and he gives us the 'light of day' but again, I never felt like he really unleashed the orchestra and let them go for it. Overall, this is more 'positive' Mahler. 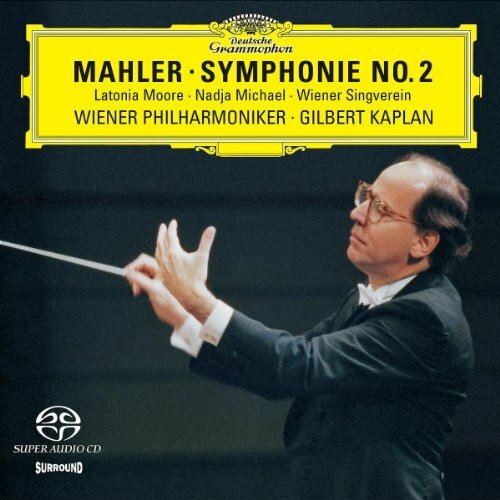 I like Mahler like this, but this recording lacks passion, drive and tension. It reminds me of Zinman, without the great musicality and architecture. Yes, I've been rather disappointed with Ivan Fischer's more recent releases. I thought M3 was pretty good, although I like his brother's even more. But Ivan's M5 and M9 fit precisely what you're describing. I'll still listen to it on Spotify. For the time being, I'll stick to his brother's M7. Ivan Fischer's M3rd is excellent until 4th movt. and I am very disappointed with his V where he could have made the dissonant interlude stronger and darker. The Adagio is too short for my taste. This is "Recording of the Month" in the April edition of Gramophone and it gets quite a rave review from Edward Seckerson. This strikes me as a bit odd, as Seckerson is a big Bernstein fan and in some ways this new Fischer recording is about as "un-Bernstein" as you can get. Matthew, I agree that Bernstein's first N.Y. Phil. one is still quite good. I'm keeping the Adam Fischer M7, so I'm not so interested in this Ivan one. So far, I've really been enjoying the Adam Fischer series and am looking forward to the 8th, which will be coming out in fall. I find myself coming back to Inbal with the Czech Philharmonic, Gielen with Berlin, and Kubelik with the New York Phil. These are all different, especially the Kubelik, but these 3 recordings keep finding their way into my rotation. Zinman with Tonhalle is another I really enjoy, too. The 7th has always been one of my very favorites. Bernstein with NY Phil on DG was my second Mahler recording. I remember getting the double disc box in the mail from Columbia House, I was 16 at the time. That afternoon I had to drive about an hour and fifteen to a trumpet lesson, so I listened while on my way. When the finale played, I was so floored with it, I missed a four way stop and got into a low speed collision. For years I wouldn't listen to Mahler while I was driving, because I was worried I'd get too distracted. Thumbs up! (except for the accident part). I often think how good Barenboim's M7 is. I agree the Inbal/CPO is very fine.